There is no short description available for this product. 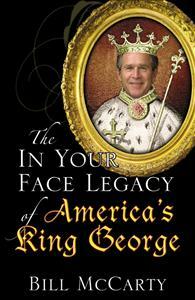 This book, "The In Your Face Legacy of America's King George," is the third in a trilogy about the George W. Bush administration. It documents the final four years of a government seemingly out of control, headed by a lonely cowboy president lost in the dust of predatory associates and ferocious enemies.